Has your forgotten rain barrel become a haven for mosquito larvae? Do yourself a favor and start maintaining it today! Keeping a rain barrel is a wonderful way to provide your garden plants with water while cutting down your monthly utility bills. While the process of collecting Mother Nature’s finest unfiltered water in a large container might seem pretty straightforward, it doesn't come without its hiccups. If you’re new to rainwater collection, you may find two undesirable things growing in your mini-reservoir: algae and insect colonies. Luckily, there are several preventative steps you can take to maintain a pristine rain barrel all year long. 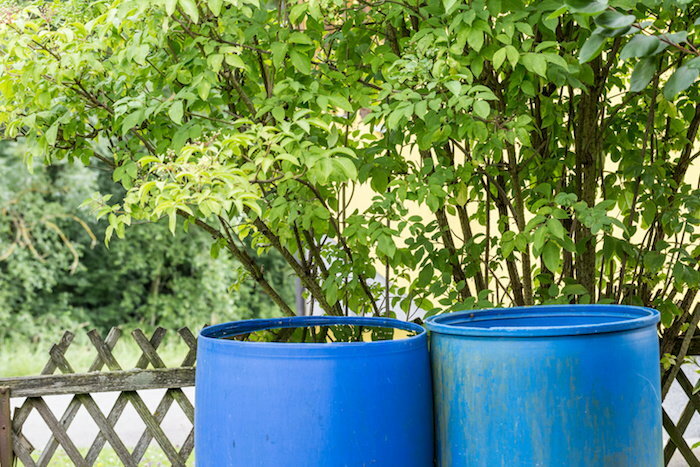 If the option is available to you, you'll want to consider using closed rain barrels. These "closed tank" systems are not only more difficult for bugs to enter and breed in, but they also help prevent debris buildup — a common problem with open-top rain barrels. If you already own a barrel that didn't come with a top, you can always use a trashcan or discarded barrel lid as a pop-on fix. Even if you do have closed-off barrels, it’s important to check your containers carefully and make sure that the places where water enters and exits are protected from potential invaders. If your rain barrel can’t be closed, try installing a mesh cover over it. 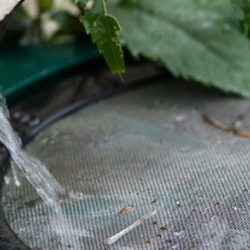 These screens deter mosquitoes and other pests from laying their eggs and prevent leaves, sticks, and other natural materials that might clog your barrel from accumulating inside of it. Mesh is also a great safety tool for keeping children and small pets from falling into larger bodies of water. 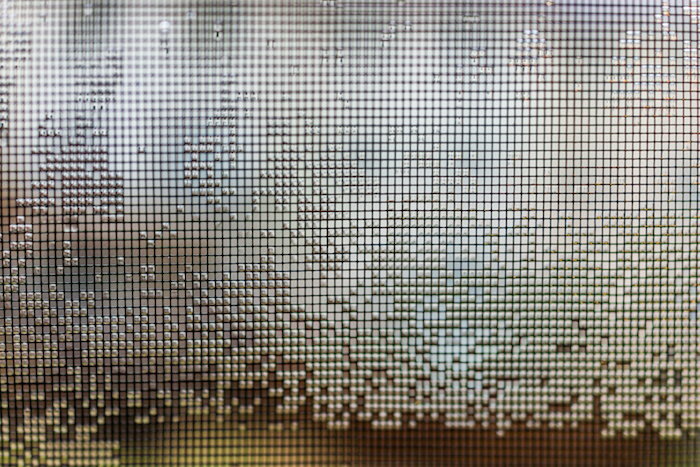 If you do choose to use a mesh screen, you'll just have to be sure to regularly use the rainwater you're collecting. Otherwise, your screen might become submerged and consequently be rendered useless. Some rain collectors choose to use commercial larvae tablets in tandem with or in place of mesh screens. These tablets dissolve in water and release a set of chemicals that prohibit mosquito eggs from developing. 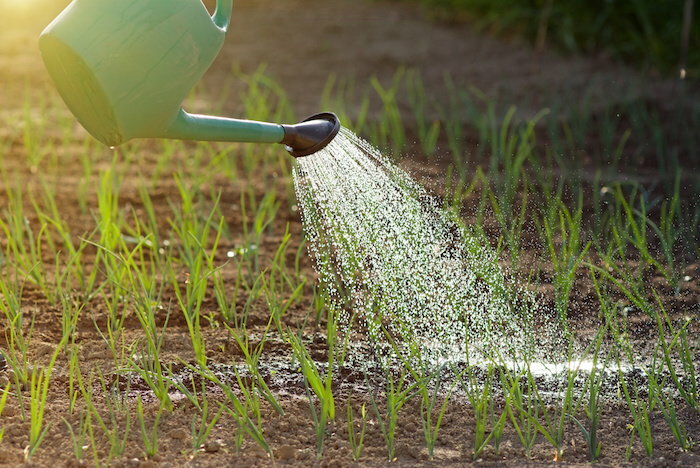 In most cases, the same water is still safe to use for gardening, though you should always play it safe by following the instructions printed on a chemical product's packaging. Unsettled by the algae you found in your rain barrel? Don’t be. Barrels that are exposed to direct sunlight (especially light-colored or white ones) are often plagued by algae growth. To remedy this issue, you’ll want to drain the barrel and wash it out with a bleach and water solution. When you're finished, consider painting your container black. Dark paint will limit the water's access to direct sunlight, which should cut down or eliminate the algae problems you've been having. 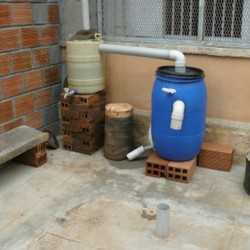 People who collect rainwater are often savvy individuals, but that shouldn’t stop them from using up the thing they've been storing. As we mentioned earlier on, regularly using the water in your rain barrel will reduce your chances of having to deal with pesky mosquitoes and their eggs. Some sources recommend using rainwater within five to seven days of collecting it, which makes sense given the fact that a mosquito can go from egg to adult in just seven to 10 days. If don't want to put a lid or mesh screen over your barrel, the task of emptying it out on a weekly basis will become all the more important. On the bright side, your frequent use of rainwater will create some barrel space for those random summer top-offs that pop up every now and then. 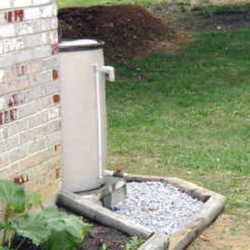 It can be easy to set your rain collection system up for the summer and forget about it until the next storm approaches. Nonetheless, it's important to give your rain barrel a once over on a semi-regular basis. Doing so will help you catch potential problems in their earliest stages. During each inspection, you'll want to remove any debris that’s become trapped in the barrel and make sure that its lids or mesh screens are working properly. Look over all of the water in and out-ways to see if their fittings are secure. To prevent future algae problems, give your barrel a thorough washing multiple times throughout the wet season. Collected rainwater is great for plants, gardens, and lawns, but think twice before drinking a glass of it yourself or giving it to one of your pets. While this unfiltered water is safe for garden use, it still contains a few contaminants you probably don't want in your body, especially if you’re collecting runoff from your roof or gutter. Remember that roofs and gutters that have been treated with pesticides or other chemicals can taint collected rainwater and make it totally unusable — even in your garden.